First off, a note of mourning. 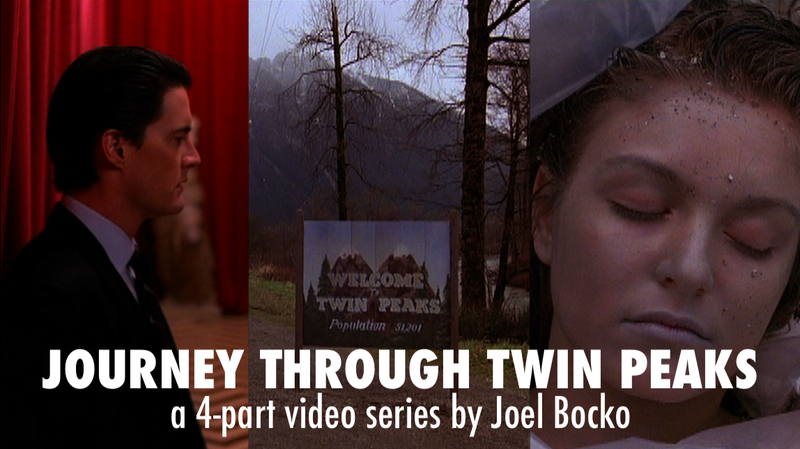 Since this series began I have been linking up every 1990 release to a "Siskel & Ebert" review. Watching those old programs had been one of the highlights of "Remembering the Movies" for me - well, lo and behold, this week when I look up Rescuers Down Under the link is broken. Turns out (irony of ironies, given the movie in question) that the D****y Corporation decided to take down the archives for no apparent reason. Which of course breaks all the links on my previous entries as well (luckily I included quotes from those shows in my text). So R.I.P. "At the Movies," and cross your fingers for the archives to go back up when a new edition of the show begins in January. A discussion of the circumstances of the deletion can be found here, along with pointers to where 80s episodes can be found. Almost makes you wish Stokowski was giving the Mouse the finger instead of shaking his goddamned hand. Starting next week, I would like to simplify "Remembering the Movies" so that it consists of the titles of the releases, multiple pictures for each movie, embedded video clips, and maybe some quotes from critics or historians (in other words, the information I'm already presenting, just unfiltered and un-paraphrased, and without my own opinion or prior knowledge mixed in - and also less frequent, as some entries would be pictures/videos only). The paragraphs and story summaries would be axed; the result would be less exploratory than expository (but also more colorful and quicker to take in). I think this would still deliver what readers get from the series - i.e. a walk through movie history - while making the posts easier for me to prepare (the current approach is frankly too time-consuming to continue). 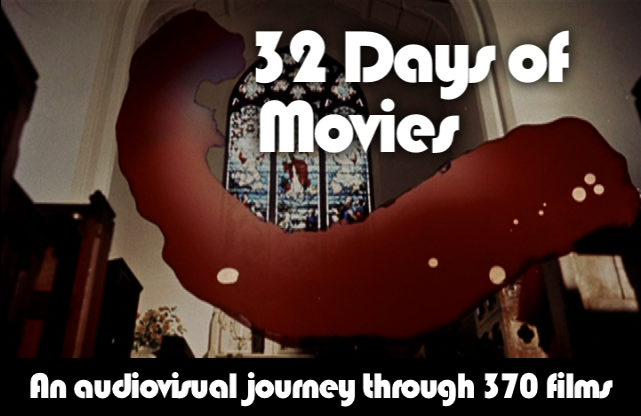 In order to still write something, I might pick one film a week and write up a capsule review. Otherwise, it will be a mostly visual approach. Share your thoughts on this new plan below - lurkers, that means you too! 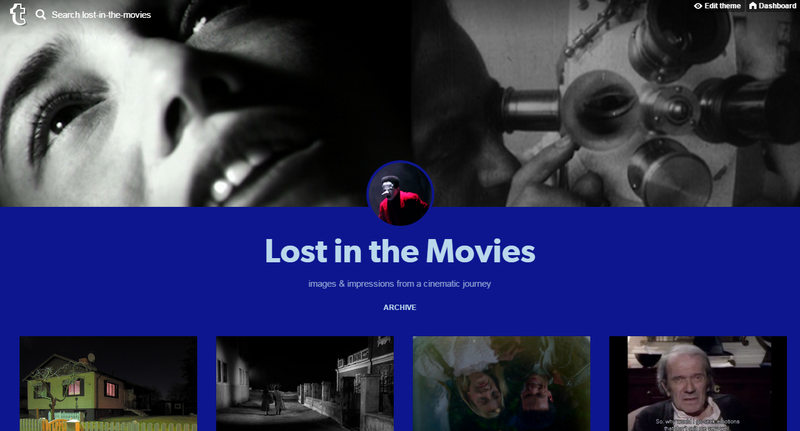 As I cut down on blogging in the coming weeks and months, your response will help determine if "Remembering the Movies," in one form or another, is something I preserve. This week's films - with the customary paragraphs, information, quotations, and links - follow the jump. Story: One man miraculously survives a disastrous train crash without a scratch. As an extremely fragile comic book collector explains to him, it may be because he's a superhero. Shyamalan, still in his twenties, was coming off the big success of The Sixth Sense, and while Unbreakable disappointed at the box office, in the long run it turned out to be his most interesting movie. Directed with a fair amount of subtlety - unusual for the director - and a mature control of his craft (already displayed in Sixth Sense), the movie also has a compelling hook in which the twist enriches the drama and feels earned - if still thoroughly surprising (and this is coming from someone who guessed Sixth Sense's twist long before it was revealed). Shyamalan came back with Signs a couple years later, which did good business but started to earn gripes for its silliness (one criticized aspect, however - the alien walking calmly across a kids' home movie - was, I thought, the best thing Shyamalan's ever put on screen). Then came The Village, and all hell broke loose. I got off the train then, but the reports from the front have not been encouraging. It's doubtful the filmmaker will ever restore his now completely tattered reputation (directing someone else's screenplay wouldn't hurt; nor would giving up on his now-tired formula - "Twilight Zone" episodes without the brevity or sense of humor). Yet this film remains as an intriguing glimpse at what he could have achieved with a bit more restraint. Roger Ebert praised that restraint in his 3-star review. "It doesn't involve special effects and stunts, much of it is puzzling and introspective, and most of the action takes place during conversations. If the earlier film seemed mysteriously low-key until an ending that came like an electric jolt, this one is more fascinating along the way, although the ending is not quite satisfactory. In both films, Shyamalan trusts the audience to pay attention, and makes use of Bruce Willis' everyman quality, so we get drawn into the character instead of being distracted by the surface." Story: The rodent rescuers travel to Australia to protect from poachers a little boy and his pet eagle, who happens to be the size of a small airplane. A very rare Disney sequel to hit theaters - within five years, it probably would have been a straight-to-video affair (albeit without the ambitious animation on display here). The project was an odd interlude between the comeback gusto of The Little Mermaid and the Oscar-nominated Beauty and the Beast, in concept more typical of their long fallow period in the seventies and eighties than of the fairy-tale/mythological hooks which would follow. But the animation - particularly the soaring of the giant eagle - place the film squarely in the context of this period. 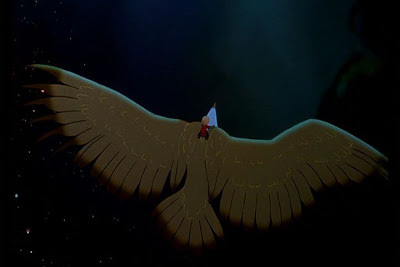 I saw the film when I was seven, and remember being caught up in the politically correct story (another factor which strongly places Rescuers Down Under as an early 90s project) and dazzled by the animation, with the rich Australian desert vistas and the (computer-enhanced) soaring of the big bird. Rita Kempley too noted the "Wagnerian scale to the animation in The Rescuers Down Under, a gorgeously drawn myth made for plucky children and very brave mice." The movie ran with a short before it - "The Prince and the "Pauper," starring Mickey Mouse and Mickey Mouse in the lead roles. 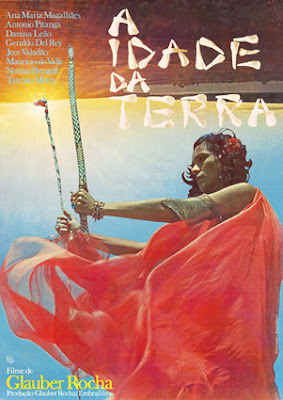 Story: Dancing, analysis of Brazil's revolutions, coups d'etats and government intrigue in the 60s, and a big burly man with long blonde hair named Brahms, who has seizures and shouts loudly about his son's homosexuality, his wife's treachery, and the giant pyramids he's building. Initially fascinating, frequently frustrating, eventually unwatchable late Rocha (I made it exactly halfway through before giving up). This is only the second Rocha I've come across, and Terra em Transe was unwatchable for a different reason (horrible video quality and impossible-to-read subtitles on the only print I could get ahold of; yet I did make it all the way through that one, a fascinating and energetic piece of 60s Cinema Novo agitprop). Le Vent d'Est, Rocha's collaboration with Godard, has always been on my "Holy Grail" list, but I've not seen it yet. The Age of the Earth, Rocha's last movie, is wildly ambitious, embracing extended interpretative dance sequences, straightforward lectures on political history, minimalist shots of nature (an opening sunrise which does not end at the gentle break of dawn but continues as the sun emerges over the horizon and its blinding, overpowering light engulfs the entire frame) - and allegorical, way over-the-top performances, with actors shouting and vamping and mauling one another as the camera spins around and pushes back and forth. 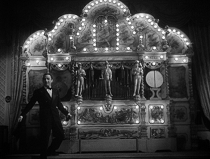 The cutting is often extraordinarily effective within sequences; between sequences Rocha was seeking randomness - he hoped that projectionists would reassemble the reels in arbitrary fashion; the film was not meant to unfold in one particular order (although in fact it has never been reassembled from its Venice Film Festival premiere). I found the intriguing aspects and fascinating political overtones eventually overshadowed by the endless self-indulgence of the allegorical sequences, but I suppose it's a testament to the whirling colors, dense texture, and flashes of intensity that I may eventually finish the damn thing. debblyst, on IMDb, adores the film: "Urgency is the key word here: it's as if he prophetically sensed this would be his last film. Glauber points his intellectual machine-gun at a multitude of themes: capitalism, militarism, imperialism, revolutionarism, Marxism, racism, sexism, religion and religious myths, pollution, the bourgeoisie, politicians, etc. Visually, the film has tints of cinéma-vérité (in the crowd scenes), expressionism (the 15-minute opening sequence representing the massacre of native indigenous peoples) and cubism (in some sequences, ALL the takes are included one after the other)." Story: A small-town sheriff stops following Johnny Cash's advice, when he strays from his professional duties and quiet home life to have an affair with a wayward lass. Most accounts and anecdotes about this film peg it as a "coulda-been" sort of project. Frankenheimer was living in France at the time, still recovering from the shock of Robert Kennedy's assassination (he had been a close friend, accompanying the candidate to the Ambassador Hotel where he was killed). I Walk the Line had a strong source and a great cast, but most observors seem to feel Peck was miscast (Frankenheimer had originally wanted Gene Hackman for the role). TV Guide praised Tuesday Weld as not just the strongest actor in the film, but a new Louise Brooks, while Toni Mastroianni dismissed the film in the Cleveland Press: "A man may have something important to say but when he says it in a monotone he loses you. That the way it is with 'I Walk the Line.' 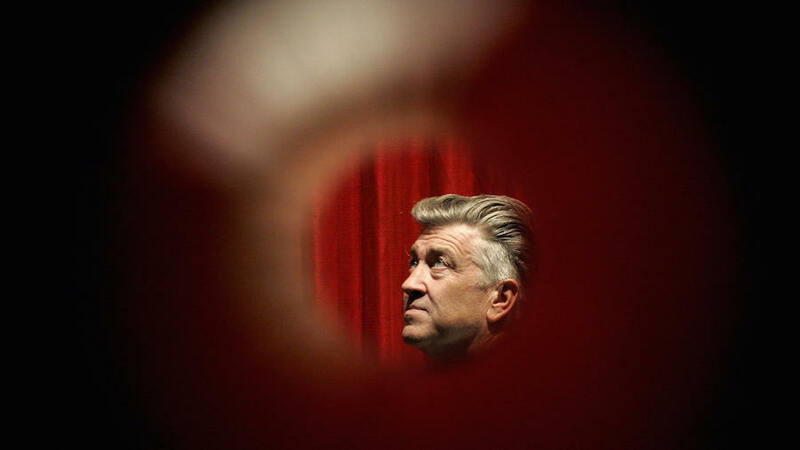 The movie says things about loneliness and desperation and being an outsider, but there are few apparent peaks and valleys in the presentation, only a flatness." Johnny Cash re-released the hit title song (the book had been called An Exile) along with enough new material to create a successful album. The film presaged many hothouse Southern pictures to come (ranging from the horror of Deliverance to the comedy of Smokey and the Bandit), though it also followed a long period of Tennessee Williams adaptations and big-name movies like In the Heat of the Night. Perhaps it's better to say that the genre never really went away. Story: A mother seeks to marry off her daughter, with the help of her late husband's friends. By this point, I've seen a number of Ozu. Their similarities to one another are legendary and at first glance, I'm often uncertain if I've seen a particular Ozu, or if I have which one it is. For example, a couple weeks ago I was able to see The End of Summer on the big screen. I wasn't sure if it was the one I thought it was, with the two women crouching on a dirt road at the end, and the wayward father whose children scold but love him. Same uncertainty with Late Autumn; looking up this film today, with the still to help, I couldn't be positive if it involved a modern girl whose mother was trying to marry her off. In both cases, I was correct - which means, I suppose, that despite his reputation each work by Ozu is so finely crafted, so imbued with its own individual life, that it manages to stamp an individual impression on your consciousness. Here, he creates a clever variation on his earlier classic Late Spring (1949) - which to my mind was his best movie. This time it's a mother instead of a father marrying off her daughter. 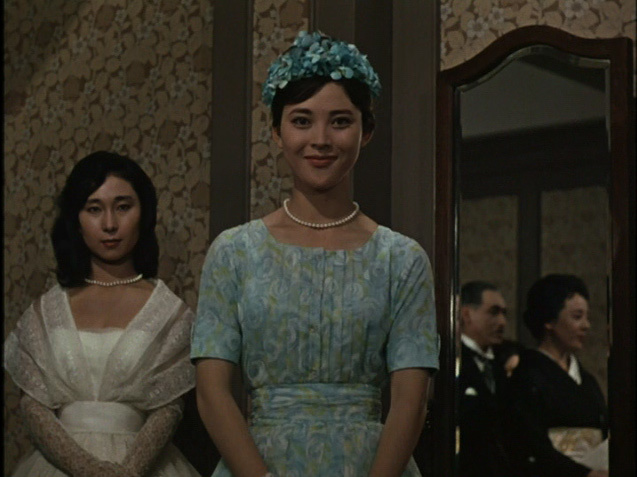 Setsuko Hara was the daughter in Late Spring; in Late Autumn she's the mother. But that's not the only irony - Late Autumn is more light-hearted than Late Spring, the daughter is charming (Ozu cast the most delightful actresses in the ingenue parts) but not as poignant as Hara was, and her behavior and demeanor is more modern. That may be the key; whereas Late Spring showed an immediate postwar world shifting uneasily towards Westernization, here the transition has more or less been completed. Paying tribute to the film in the Philadelphia City Paper, Sam Adams writes, "the best of the five films in the Late Ozu boxed set... As a younger man, Ozu's films were world-weary, but here he moves close to a kind of not-unhappy resignation, a sense that happiness lies in inaction rather than its opposite. As one inept plotter finally realizes, 'It's people who complicate life. Life is surprisingly simple.'" Story: Cavalry officer Kirby Yorke must fend off the Apaches from his frontier outpost, command a new recruit - his now-grown (and mostly unknown) son, and also deal with the wife he hasn't seen in years when she comes to visit the fortress. 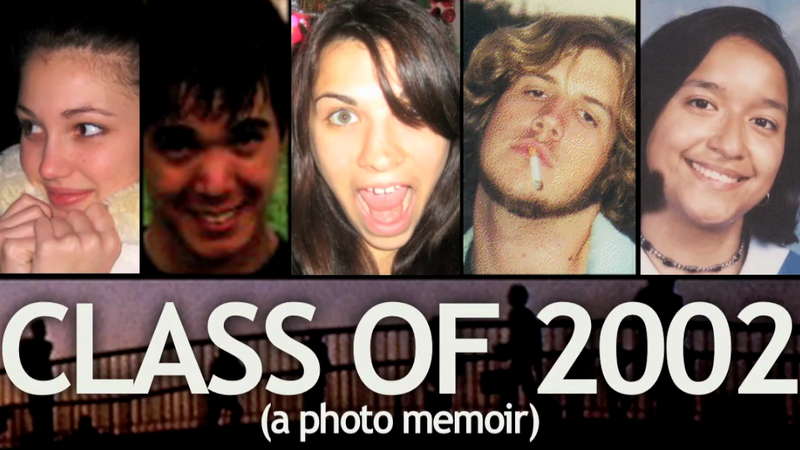 This is another variation upon an old theme, with familiar cast members, from a master filmmaker. Whereas Ozu's universe is carpeted with Tatami mats, limited by sliding doors, and people by patient, decent people, Ford's is as broad as the desert horizon, imposing as the Monument Valley monoliths, and restless as the individuals who inhabit it. Yet both directors constrain their characters with virtues like duty and stoicism, both have an eye for rich, subtle compositions, and both celebrate small moments and camaraderie. 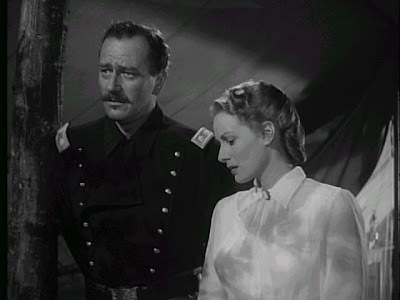 The most fun moments in Rio Grande aren't the big battle scenes - though those are stirring and exciting enough - but the drunken shenanigans of Victor McLaglen, the generational drama of Wayne training the son he barely knows as a professional rather than a father, and the spark between Wayne and O'Hara, hard as it may be to believe that the striking spitfire was old enough to have a grown son (and at only 30, she wasn't). Time Magazine was having none of it all the way back in 1950 - and the review makes for good reading for those who think no one questioned Ford's view of the West back in the conservative Fifties. Time griped that the film "continues the descent of Director John Ford into his latter-day role as scourge of the redskin and glorifier of the U.S. Cavalry. The Rover-boy characters, the conflict of love v. duty, the boisterous comic relief, the cavalry charges and screeching Indian raids are all here, set against the well-photographed buttes and plains of what used to be God's country before Ford took it over." The reviewer went on to praise Ford's "thoroughgoing craftsmanship" but disparaged his "shoddy taste in material" and lamented the fall of "the director of The Informer and The Grapes of Wrath." We were still a long way from the auteurist reevaluations of the 60s, which would redeem genre material in the eyes of intellectuals. Story: Abstract shapes cavort through the heavens, mushrooms do a Chinese jig, alligators catch hippo ballerinas, dinosaurs battle against a volcanic backdrop, and the devil presides over a ghoulish parade, all to the tune of great classical composers. For a film with no dialogue, Fantasia sure had a lot of authors! And it didn't skimp on the direction either - at least one for each of the eight segments. As always with the early Disney pictures, however, the prime moving force behind the film didn't need a credit: Walt Disney himself, the uncredited producer and voice of Mickey Mouse. 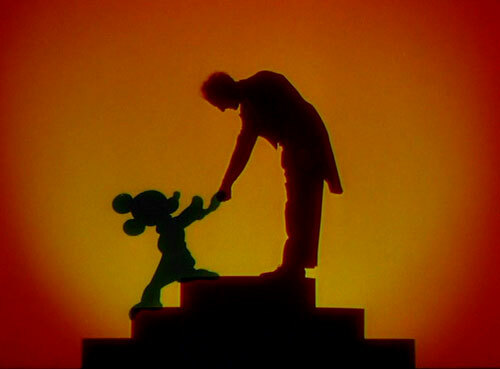 The film had begun as a Mickey vehicle, a Silly Symphony with Mickey moving to the music of Paul Dukas. The impetus to expand this into the most ambitious animated feature of all time was partly creative, partly financial - "Sorcerer's Apprentice" was so expensive that it could never recoup its cost as a short. To most critics Fantasia was a creative success (though Stravinsky despised Stokowski's conducting and Disney's dancing dinosaurs in "The Rite of Spring"), but financially not so much - given the specially-designed sound system accompanying the projection, and the unconventionality of the approach, the movie did not make back its budget in 1940 and it took many re-releases over the years before it became a bona fide hit. Nonetheless, the critics raved in '40. Bosley Crowther shouted from the rooftops in the New York Times, "At the risk of being utterly obvious and just a bit stodgy, perhaps, let us begin by noting that motion-picture history was made at the Broadway Theatre last night with the spectacular world première of Walt Disney's long-awaited Fantasia. Let us agree, as did almost every one present on the occasion, that the sly and whimsical papa of Mickey Mouse, Snow White, Pinocchio and a host of other cartoon darlings has this time come forth with something which really dumps conventional formulas overboard and boldly reveals the scope of films for imaginative excursion. Let us temperately admit that Fantasia is simply terrific—as terrific as anything that has ever happened on a screen." Watch the original 1940 trailer. Story: A Legionnaire romances a dancing girl, who must decide between him and an older sugar daddy. Absolutely sparkling movie, full of visual riches and provocative set pieces, from Dietrich's tuxedo-clad slithering onstage to her paradoxically emasculating removal of her high heels to follow Cooper into the swirling sands of the desert. The astringent sexual politics were probably more compelling in The Blue Angel and the ravishing art direction and cinematography reached full fruition with The Scarlet Empress, but this is one of the most fun Sternberg-Dietrich combos and as their first all-out Hollywood collaboration (Blue Angel was shot in German and English) has a special place in their filmography. 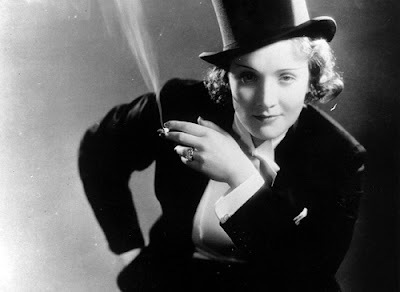 Plus, it's fun to see Cooper not as an aw-shucks good guy but something of a rogue and rascal - his eyes gleaming arrogantly as he watches a cross-dressing Dietrich sashay across his horizon. Variety wasn't biting in 1930: "Morocco is too lightweight a story to be counterbalanced by the big-time direction given it. Marlene Dietrich has little opportunities in her first American talker. There's nothing to the picture, except what Josef von Sternberg gives it in direction, and that's giving it more than it's got." Story: In Arabia, a beggar has a long and adventurous day - rescuing his daughter from a harem, attempting a political assassination, trying to marry his daughter to a royal, and eventually being banished and setting off on a pilgrimage. 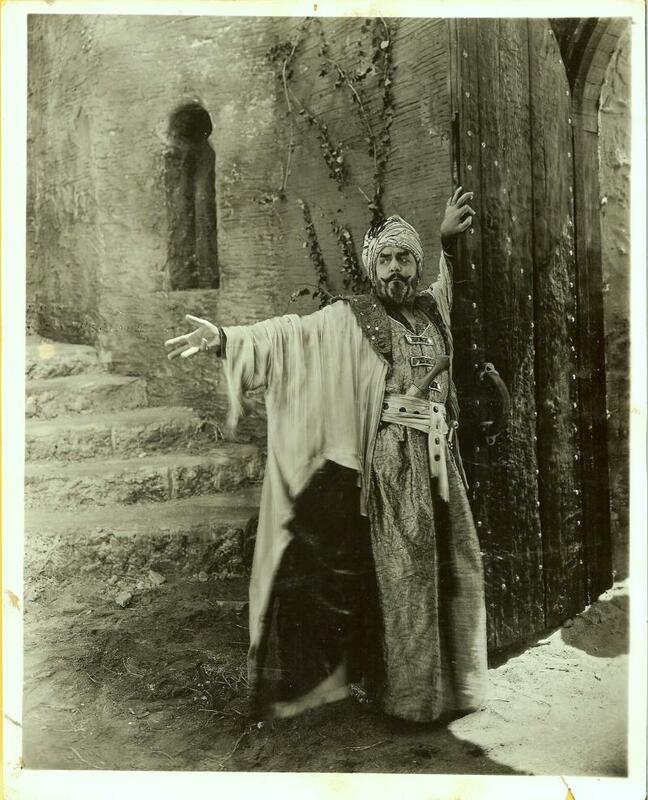 A 1911 play, written by an American abroad in England, was eventually brought back to the U.S. where it spawned frequent film adaptations. This was the first (a 1930 edition with the same star was eventually lost). Reports on Skinner's acting vary among latter-day viewers - one commentator finds him "homely and middle-aged with no flair, nothing special at all," adding that Skinner "may have been 'the foremost romantic actor of his day', but there's little here to suggest it." Another disagrees, praising Skinner extensively: "Rather than trying to twinkle and seduce the audience, he just does what he wants to and waits for us to come to him. To some eyes this may not look like acting, but he doesn't want it to look like acting. He is behaving, at ease with his body and its expressiveness, and that's what contemporary movie acting is all about." Eventually the play returned to Broadway as a musical, after which it made it back to Hollywood for one last interpretation, this time with songs and dances. Story: A toymaker wants to set up his adopted daughter with his son, but she's in love with the toymaker's assistant. A Halloween costume party will provide the key to their happiness. No images or videos of this film are online - the above still comes from another Porter project, a fascinating-looking adaptation of Alice in Wonderland (the toylike images merited its inclusion). Reviews are likewise nonexistent, but Fandango has a detailed plot summary: "Attending a costume party, the girl dresses up as the huge doll which stands in the window of the toymaker's store, while the assistant masquerades as the Devil. ... When the toymaker lights his fireplace, the assistant, still dressed as the Devil, rushes out, his derriere on fire. The toymaker naturally assumes that this unexpected guest is the real Devil, and falls to his knees, begging to be spared. Seizing the opportunity, the assistant demands that the toymaker immediately surrender his 'doll.' This done, the assistant and the daughter rush off to get married, leaving the trembling toymaker behind." 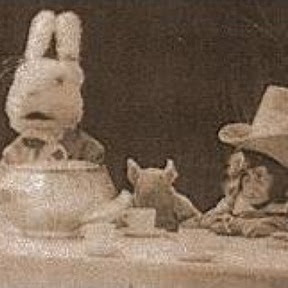 For yet a third Porter toy movie, watch The Teddy Bears (1907). "Unbreakable" may be my favorite Shyamalan movie if it wasn't for the experience I had watching "The Sixth Sense" when I was 9 years old. It made a scar on me, I was so frightened, and yet amazed by the movie, I went to see this film because I was one of the top students and the prize was seeing a film. I remember that we could have possibly seen "The Mummy", and I think my life would've been different if that was the case. Anyway, "Unbreakable" is a good, even excelent film, one of my favorite Shyamalan movies, which I find them GOOD. YEAH, I'm a SHYAMALAN FAN, no one says that these days, I agree that he hasn't made a movie like this or 6th Sense, but still he's pretty good at what he does, according to me that is. I liked "Signs", "The Village", even "The Happening", his weak link is possibly "Lady of the Water", bu it's still prety well shot and watchable. I haven't seen "The Last Airbender" but I do plan to, nevertheless what critics have said, I've never bought their gender-bending complaint bullcrap, they just want to make Shyamalan look bad. This has been a great feature from week to week, particularly as you tilt back 80, 90, and 100 years. It's often very instructive and even eye-opening. But I have been wondering how you had the stamina for it with everything else on your plate. Just as one opinion, I think you could let the story summaries go, I don't generally pay much attention to synopses anyway, but to the degree that you can manage it it would be great to continue reading your thoughts and observations on these movies. Quotes from critics and historians would probably work too. I know your primary project here is to engender discussion and reminiscences of the titles mentioned, and if I weren't so chronically a pass-through lurker I would chip in my share more often. But I promise to try harder. Jaime, out of curiosity, what's the gender-bending complaint? I haven't heard of that. I know someone who was supposed to be in the Airbender one, but ended up on the cutting room floor. From what I heard of the final result, may not be a bad thing haha... seriously, though, Shyamalan's taken probably way too much of a hit - annoying as The Village was (to me) anyway, he's an extremely talented director, he just perhaps needs to take himself less seriously. I do know that Stephen's fond of some of the late Shyamalans - you should check out his pieces on the films (I'm pretty sure he's written them up). Out of curiosity, what do you think of the proposed changes to the series? Would it still work for you? JPK, no obligations to comment (nothing'll sour you on the posts quicker if you're forced haha) - feel free to lurk! Thanks for your input; like I said, I'll try to review 1 film out of the 10 but otherwise I'll probably just stick with images and some quotes from critics and historians for some of the films. I just don't want it to seem like a cop-out, as it still will take a bit of work to put together and hopefully serve the same purpose. Must admit that I don't think I've seen any of this week's films - I've definitely seen bits of 'Fantasia', but not sure if I've ever watched it in full. I enjoy reading this feature though I sometimes fall into lurk mode, but can see that it must be hugely time-consuming to put it all together. I'd still enjoy a shorter version, but it would be nice to have your input on films where you have seen them. Thanks very much for doing all this! Did I say gender-bending? Sheesh, it's race-bending, sorry, all the thing with the bad guys being not-white. Judy, thanks for the input. Since a couple of you have mentioned it, I think I'll stick with the idea of reviewing one film a week so that there's fresh content. Fantasia is certainly worth seeing as a whole, some sections are better than others. 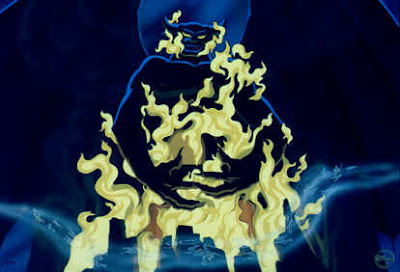 I think my favorites are probably Night on Bald Mountain - really hellish imagery, which is wonderful stuff (though it owes a strong debt to a Soviet animation of the 30s, which Allan showed me recently - even to the point of sharing the same score!). And Dance of the Hours, which is just brilliant, classically cartoonish fun, with the hippos and alligators. I'm also very partial to the abstract animation accompanying Toccata and Fugue in D Minor, which opens the film. Nah, it's specifically a thing about Avatar.